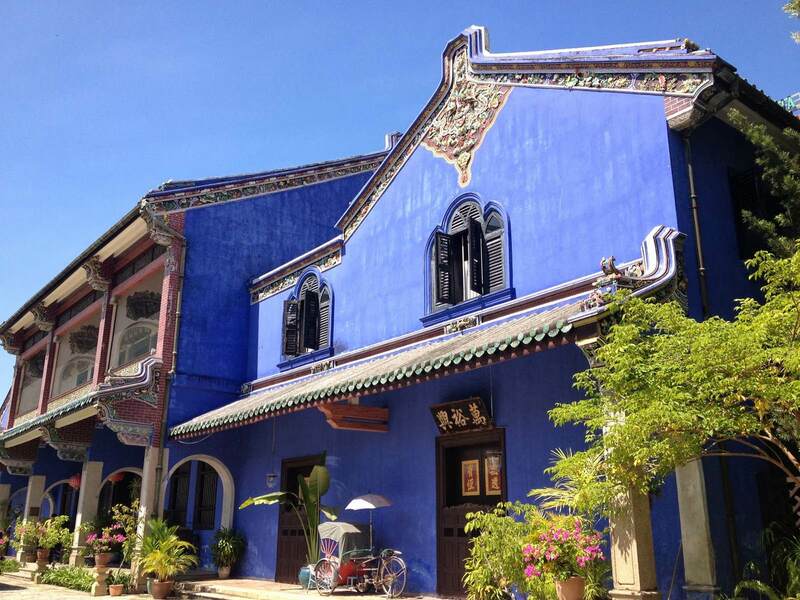 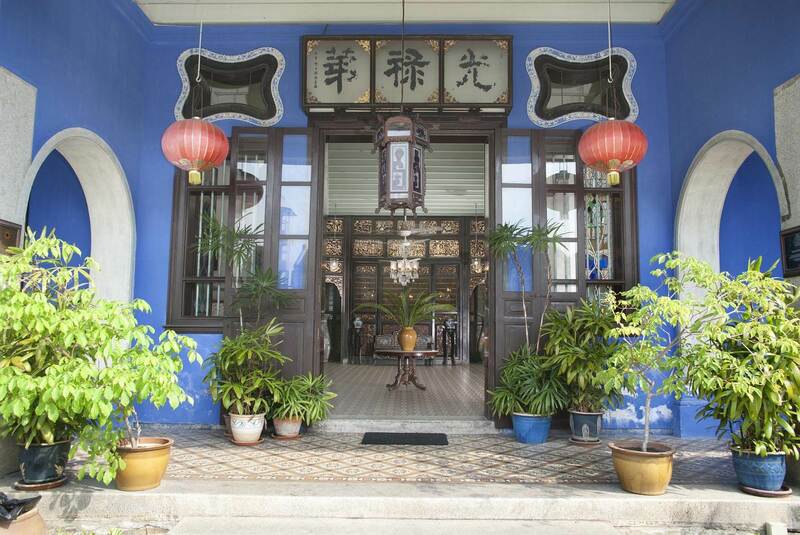 The Blue Mansion, as the Cheong Fatt Tze Mansion is more affectionately known, is the legacy of the opulence of a Chinese merchant of nineteenth century Penang. 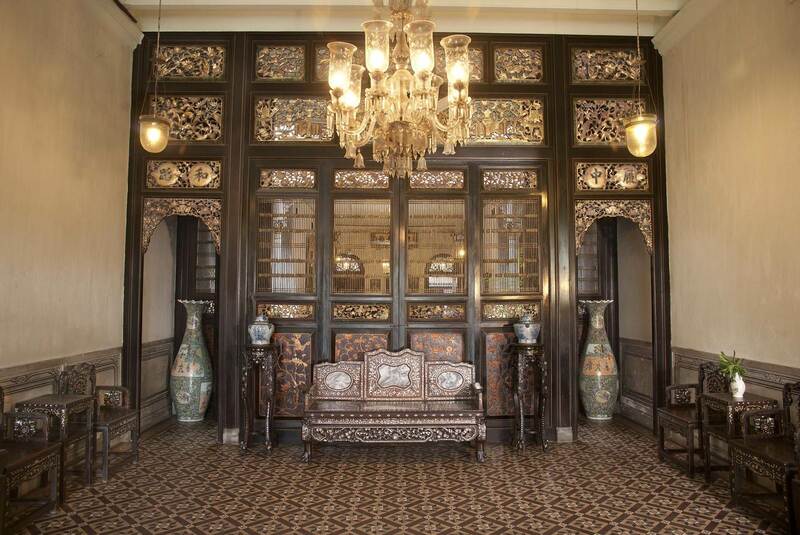 Dubbed the “Rockefeller of the East” then, Cheong had fused the best of the East and the West in building his mansion, resulting in an eclectic mix of materials and craftsmanship from various origins. 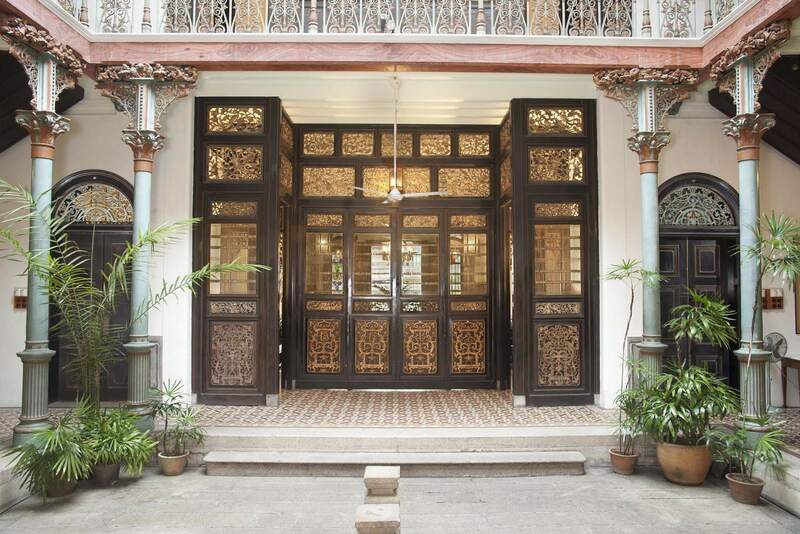 Far from ending up as a confused built-form, the result is a breathtaking blend of Eastern and Western influences, and very much reflects the owner’s highly sophisticated palate for the finer contemporary designs of those times. 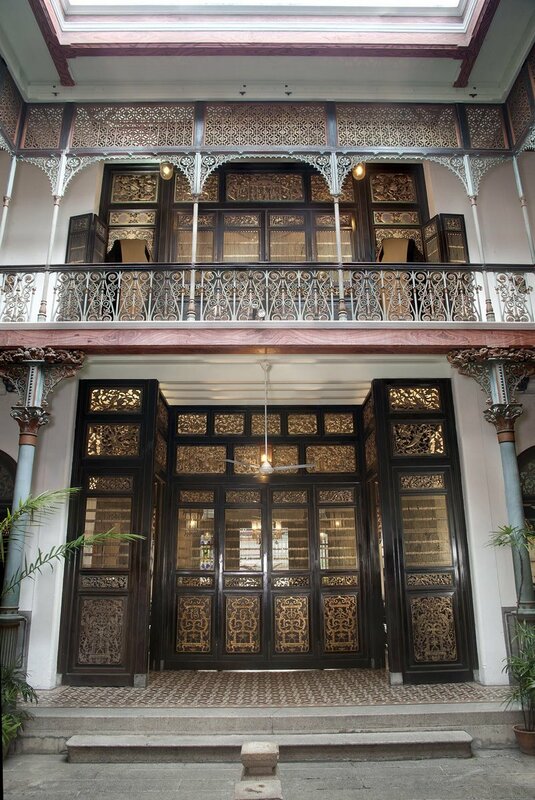 The brief could have been a designer’s dream, or nightmare: Su Chow Dynasty period courtyard design; Scottish cast iron columns and lacy balustrades; Stoke-on-Trent floor tiles; art nouveau stained glass; Gothic louvre windows; Chinese woodcarvings and delicate latticework and Chien Nien porcelain works. 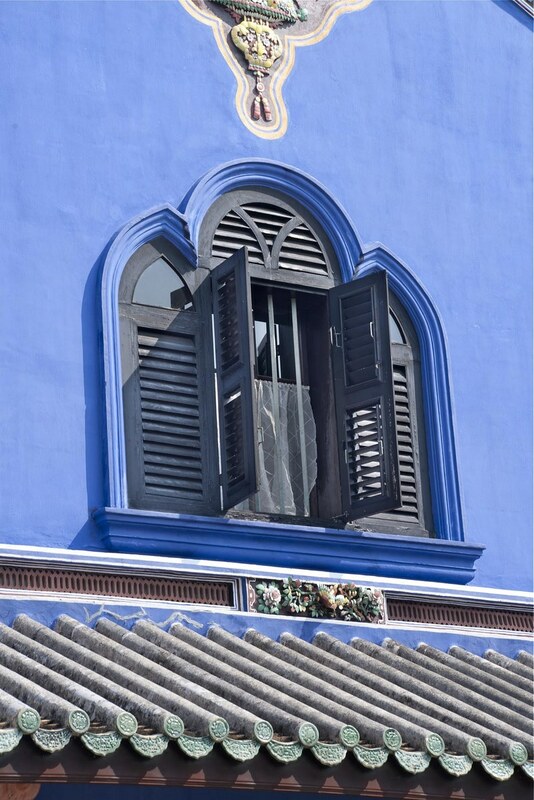 The mansion’s indigo blue paint, from which its moniker is derived, was imported from India. 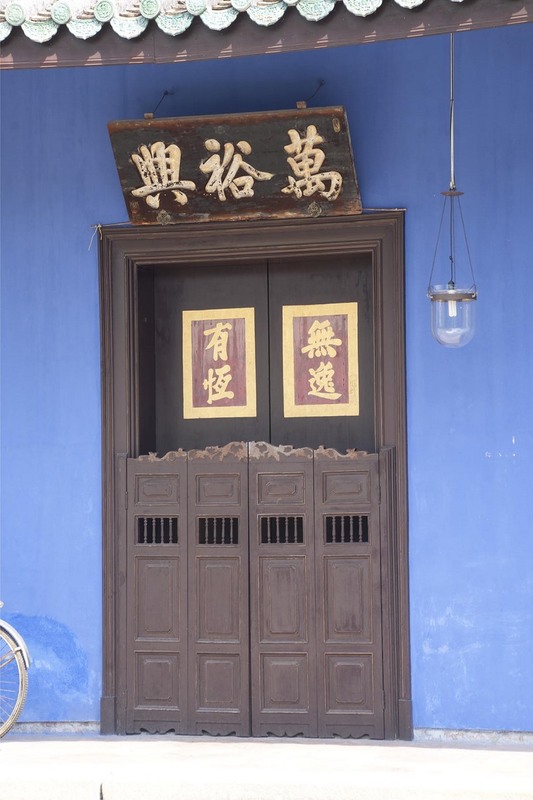 The materials used to build the Blue Mansion represent all the basic, ‘must-have’ feng shui elements of metal, timber, water, fire and earth to evoke a balance in the mansion’s energy. 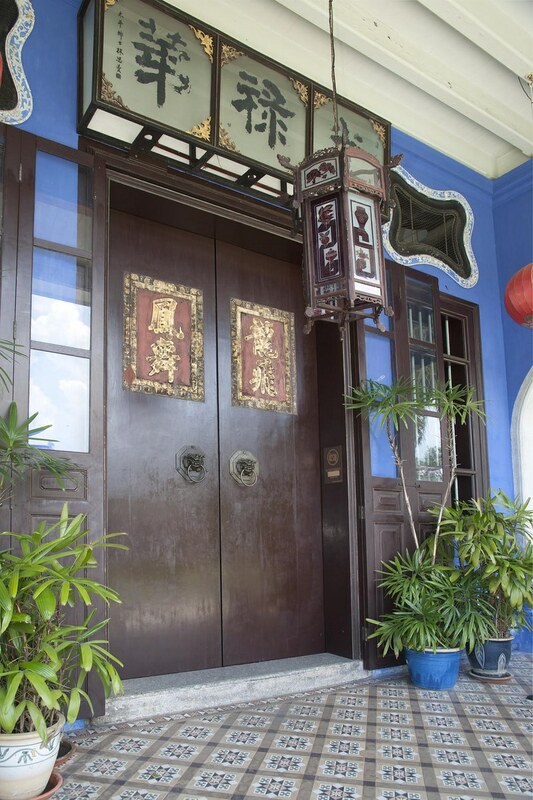 The 38-room mansion, even on its grand scale, carries a symmetrical sense of proportion and space. 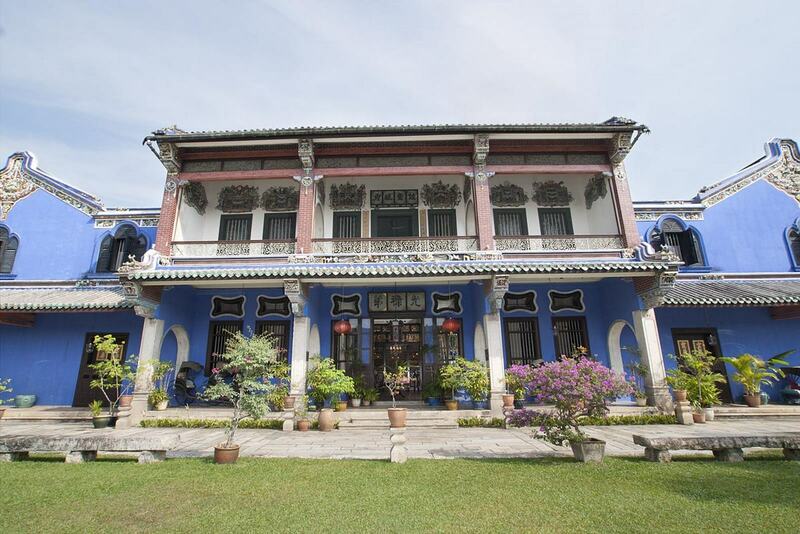 It has two main components: the main house – distinguished by the gables on its main roof; and two side wings. 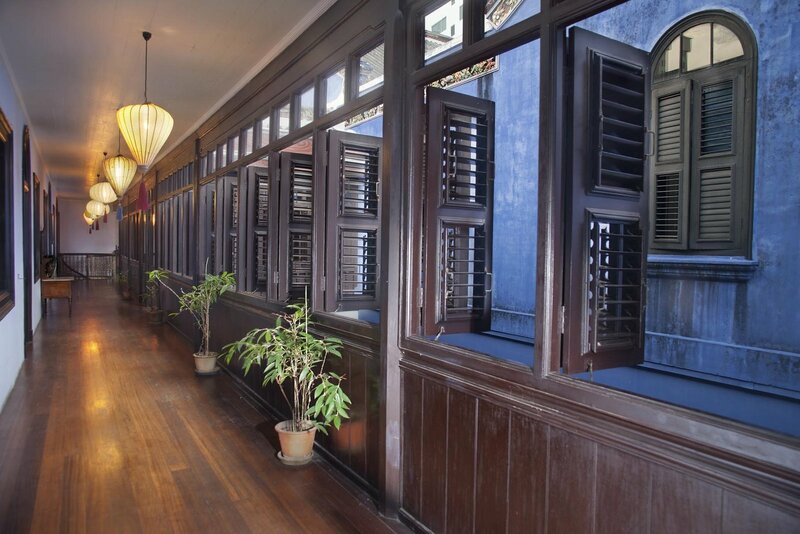 Within the main hall is an open air courtyard, a private living space common to traditional Chinese homes. 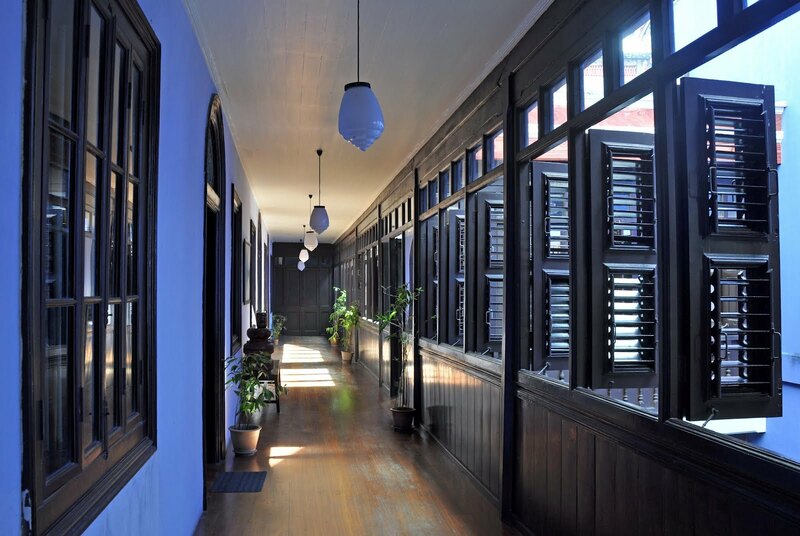 It also has four other smaller courtyards, seven staircases and 220 windows. 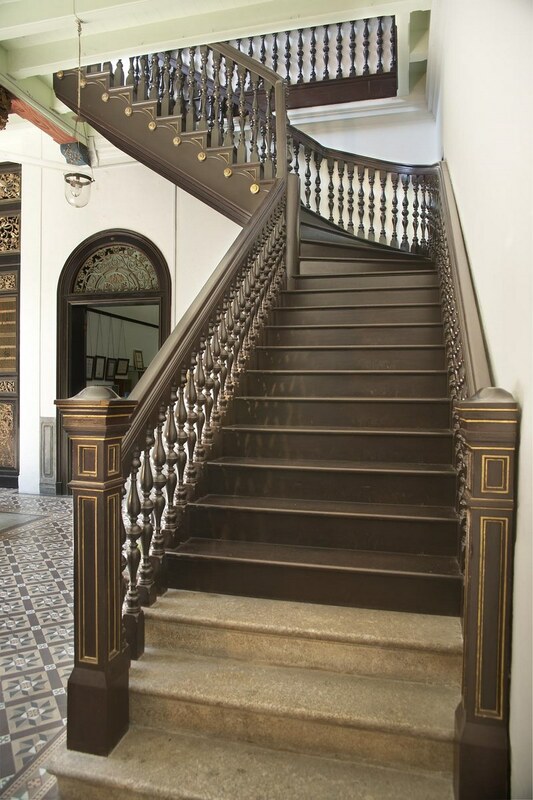 Built over seven years from 1897 to 1904, the mansion was passed down from one generation to the next until its resultant ruin in the 1980’s. 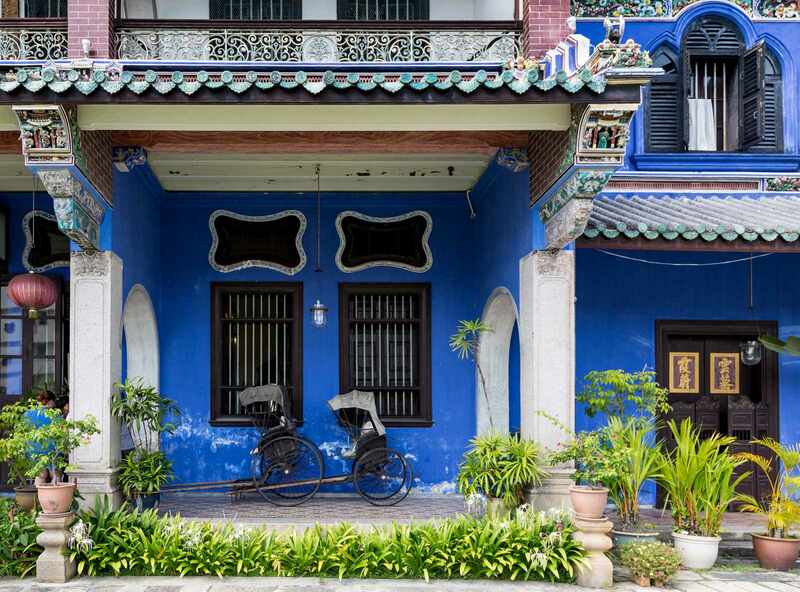 In 1990, it was bought over by a group of conservation enthusiasts led by Malaysian architect Laurence Loh who painstakingly restored it to its former glory. 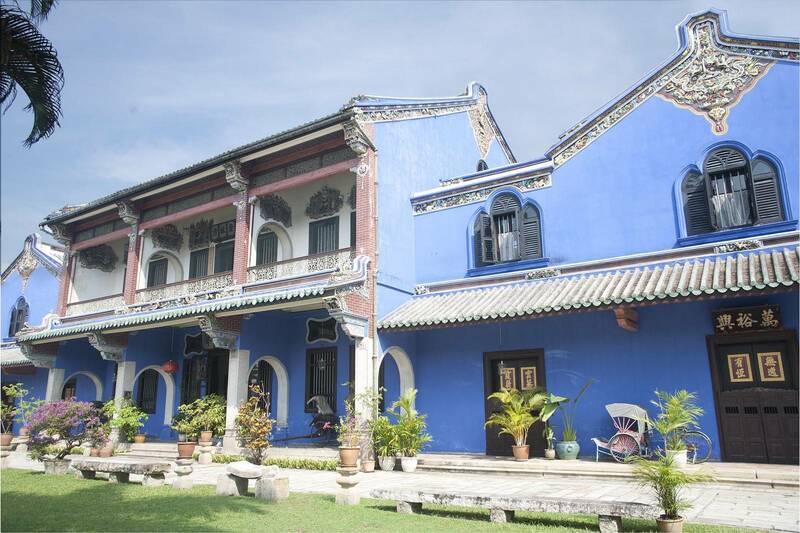 It has since received multiple architectural awards, including UNESCO’s Most Excellent Heritage Conservation Award in the Year 2000. 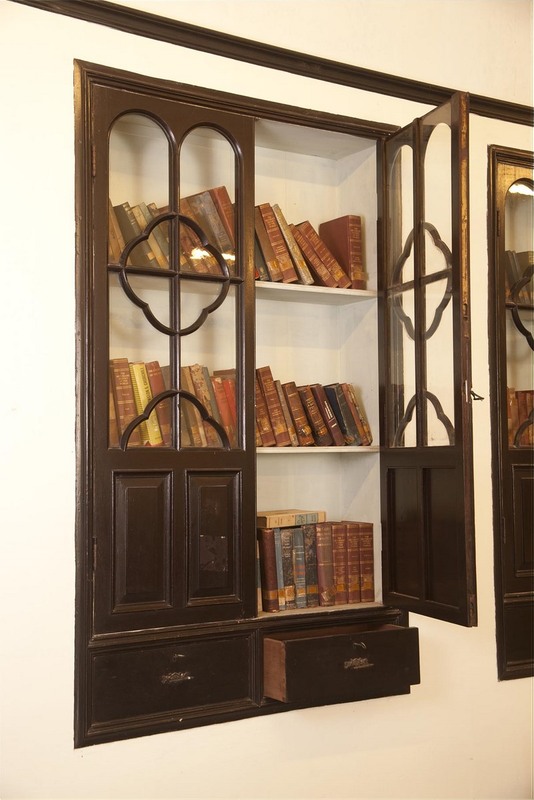 The original timber door and window frames were mostly in Teak and Chengal. 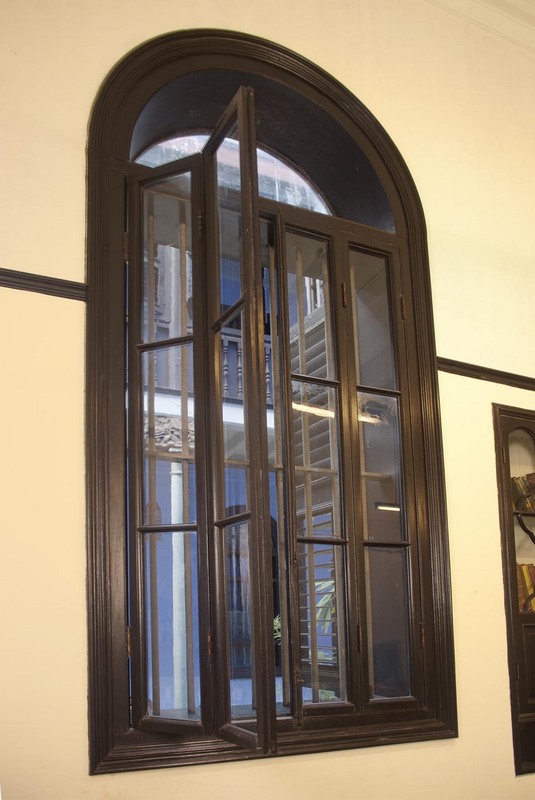 However, for the restoration, only Chengal was used. 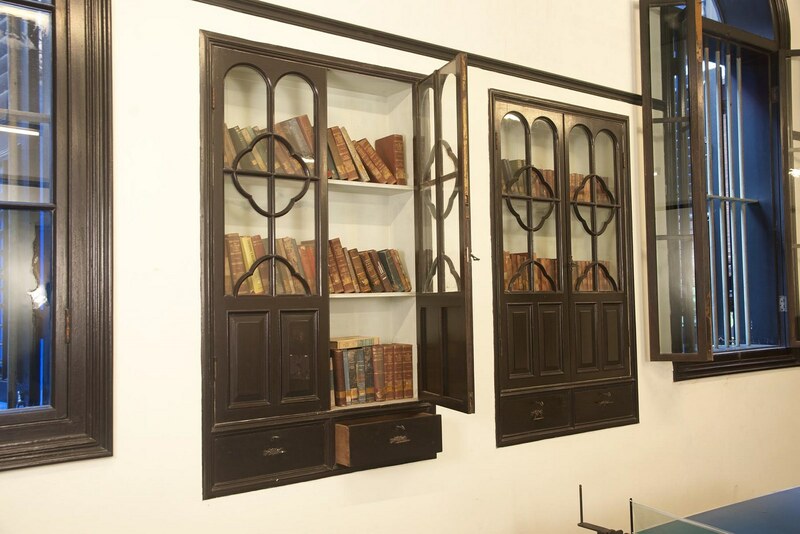 Highly skilled local and foreign carpenters laboured over more than three years to repair all the timber works using basic traditional hand tools. 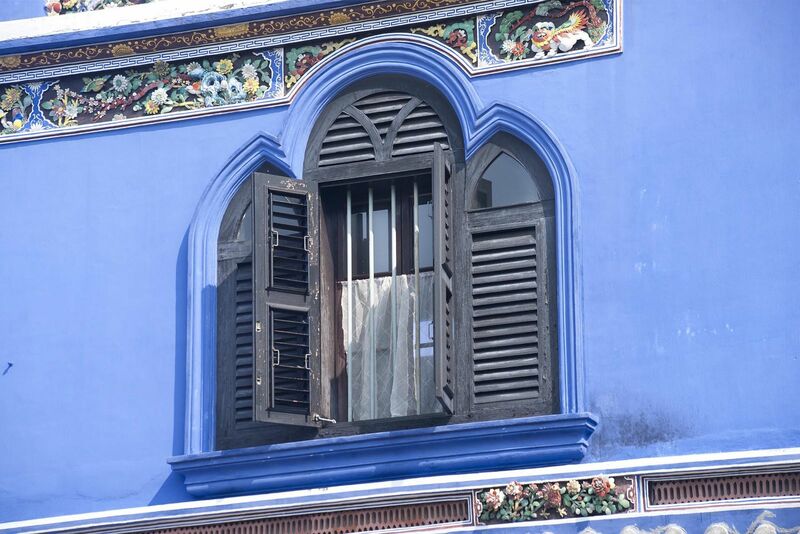 About one third of the wooden louvres of the 220 vernacular windows, each measuring 30” x 72”, were replaced with Chengal. 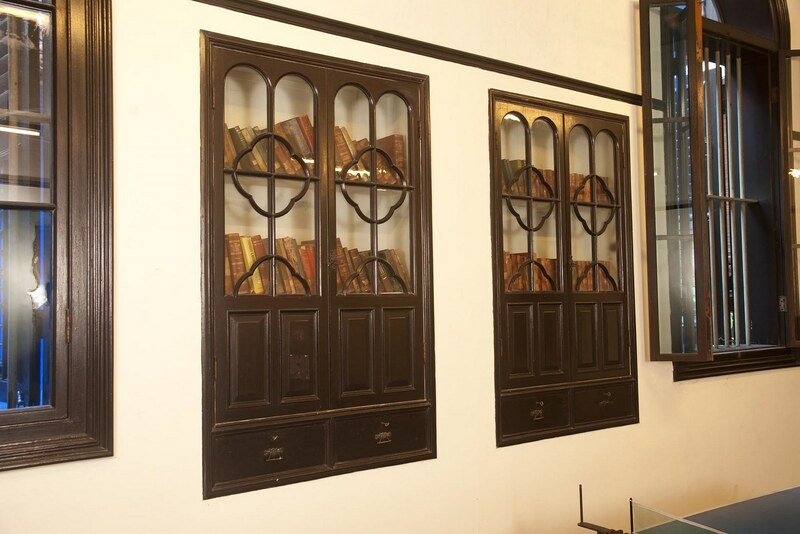 The original doors were of softer timbers and have not been replaced as they are still in good condition. 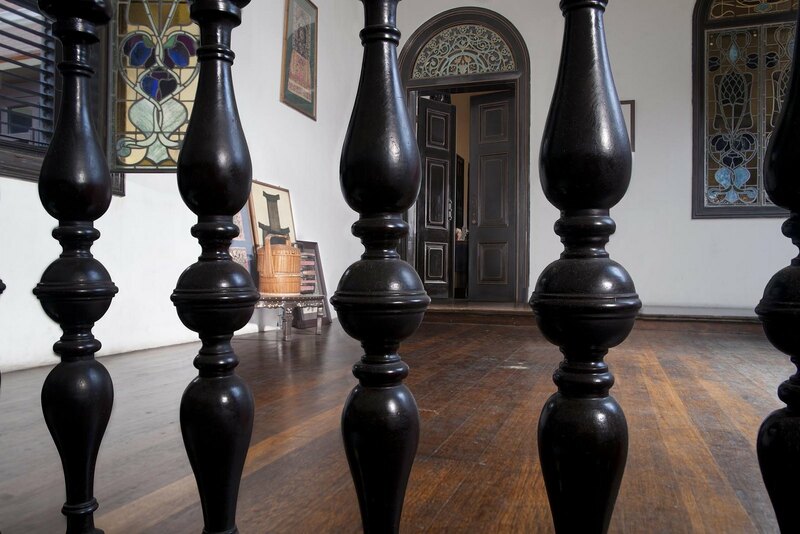 The original Teak floorboards on the first floor, which had rotted, were replaced with Dark Red Meranti obtained at below market price, thanks to a cancelled order from the Middle East during the Gulf War when the restoration project was going on. 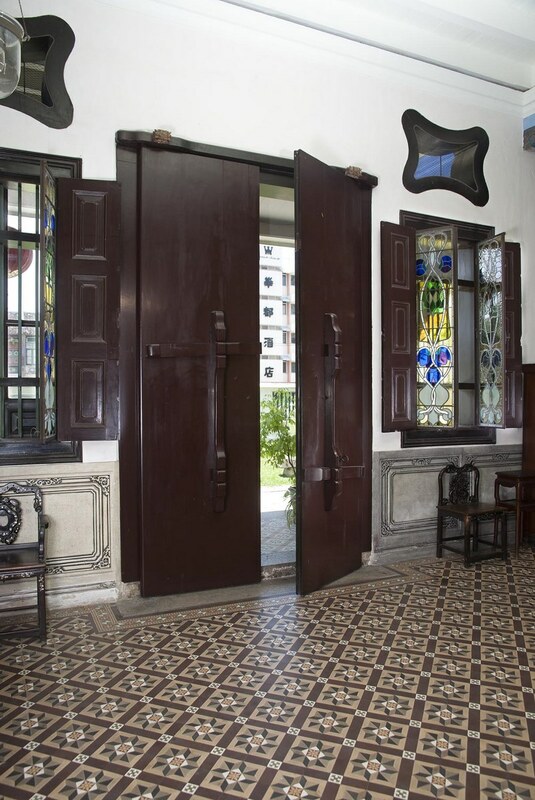 Concrete beams around the private and richly decorated courtyard were hand painted with trompe l’oeil timber grains to clearly distinguish them from the cast iron columns. 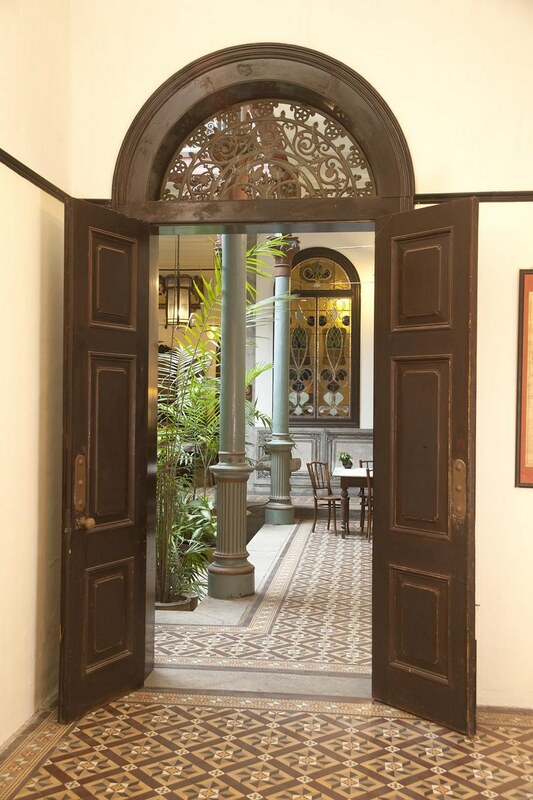 Today, thanks to its meticulous restoration, guests are able to experience a slice of the life of a wealthy immigrant-turned-nobleman from a bygone era by staying in any of the 16 themed bedrooms, or by renting the place for functions.